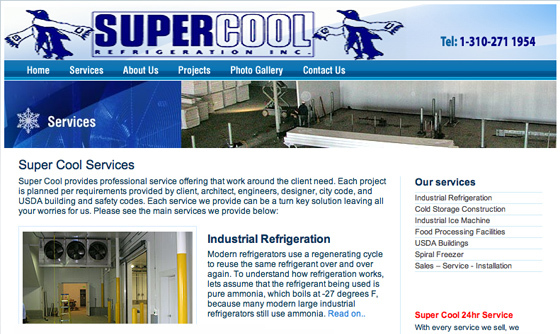 Super Cool is a premier industrial refrigeration company servicing the Los Angeles area for the past 30 years. 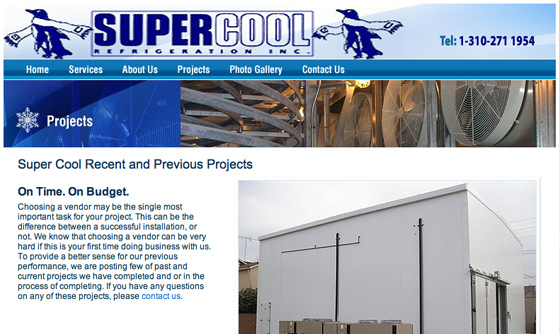 IBCnet was hired to develop a corporate image that communicates the company's high standards. Super-cool vice president was kind enough to write about his experience working us - read his testimonial. DHTML, IIS, VB, Flash, CSS, HTML, and Java. First we would like to thank you for your time and your help. We are proud to say that you did more than what was promised and than some more. 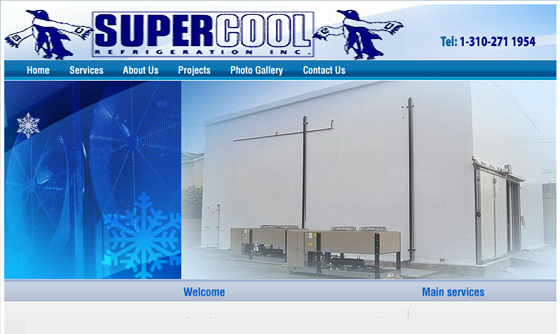 We thank you for all the help and your great ideas and advise for helping us to build our new web site. 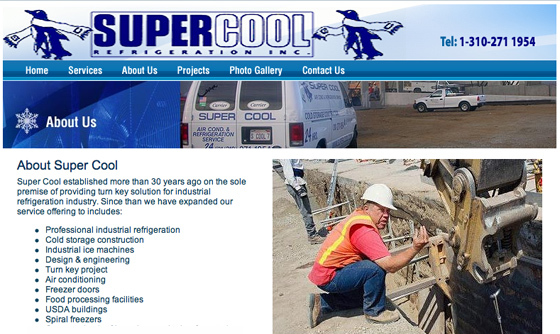 www.super-cool.com Me and my dad love your work, you just did an Amazing job !!!!!!!!!!!!!!!!!!!! Please, just to let you know if anyone needs a new web site or any new design or consulting or anything in Internet Marketing its definitely you. You are the best and you work hard like you promised and you give lots of attention to customers' need !!!!!! 1. Quick response by phone and e-mail from you !!!!!!!!!!!! 4.And the most important is that you are an Amazing person - the Best !!!!!!!!!!!!!!!!!!!!!!!!!!!! !